Intrepid is a new large format field camera series, made by Intrepid Camera, a start-up founded in 2015 by two young product designers in Brighton, England. It started making its moderately priced Intrepid 4×5 since 2015, financed by a Kickstarter campaign, and soon sold out sold in 2016. It then was refined to today's Intrepid 4×5 Mk III. In 2017 the real big large format was added to the company's portfolio - with the Intrepid 8×10 field camera. 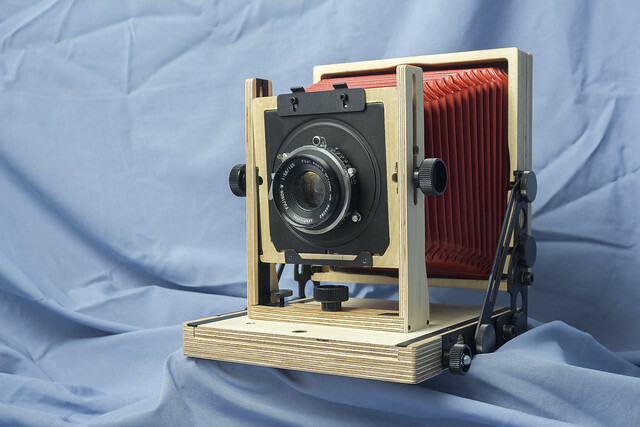 Since end 2018 the company offers a kit to use the Intrepid 4×5 as enlarger, also made financed through Kickstarter. This page was last edited on 19 November 2018, at 10:02.